In the one-bay frame of the following figure, the second column is considered having two times the height	[*]	 NoteSuch cases are met in practice e.g. at a store with a mezzanine or in case of a split level foundation. of the first one. The crossbar moment of inertia is infinite. 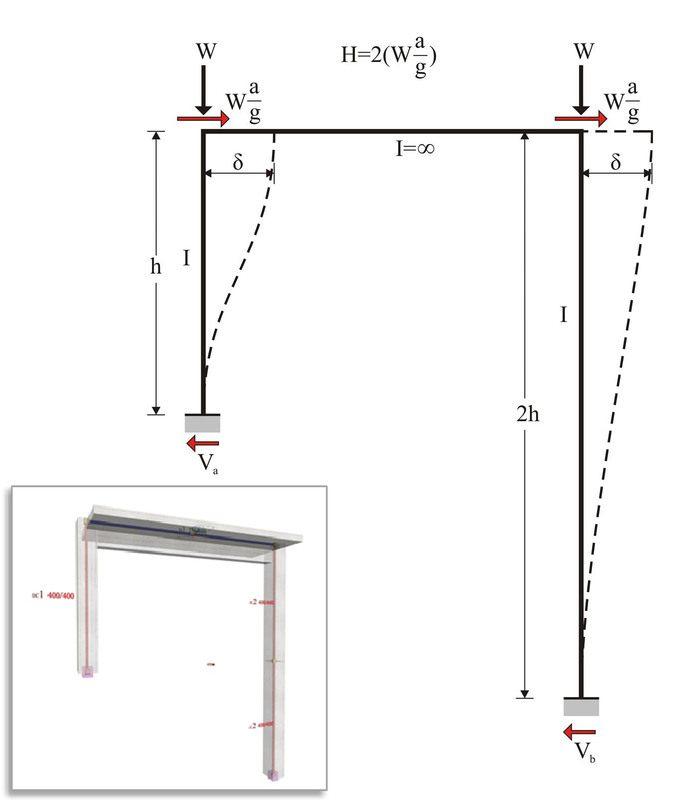 Figure 5.1.4-2: 89% of the seismic force is carried by the "short" column. 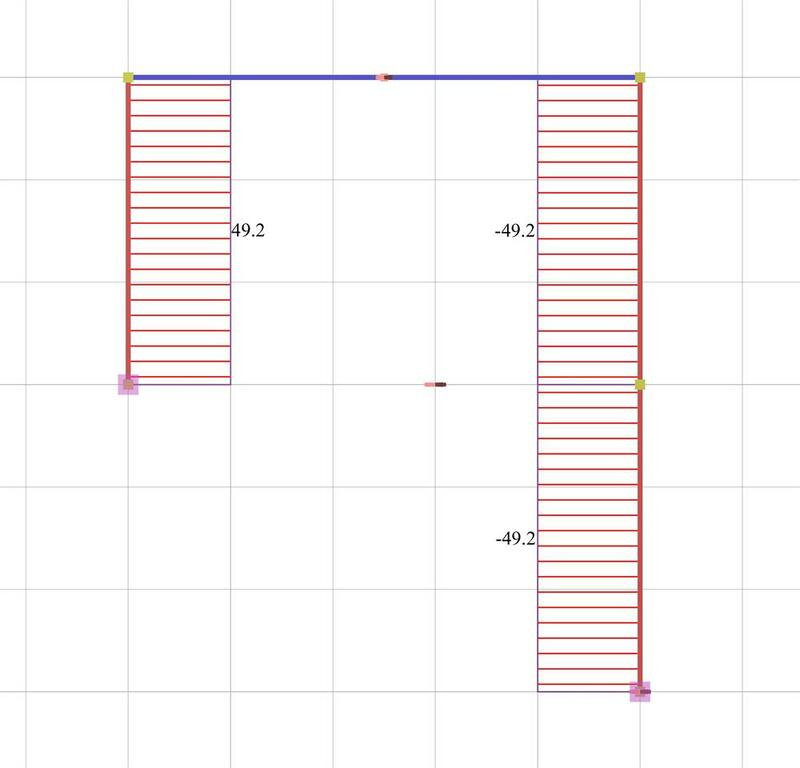 Figure 5.1.4-3: The bending moment of the "short" column is four times higher than the corresponding moment of the "tall" one. I.e. 89% of the seismic shear is carried from the first (short) column. Example 5.1.4: Consider the typical columns 400/400, and seismic acceleration factor a	/	g	=0.10. therefore δ	=	H	/	Σ	(K)=160·103N/(34.99	·	106 N/m) =4.573 mm	. 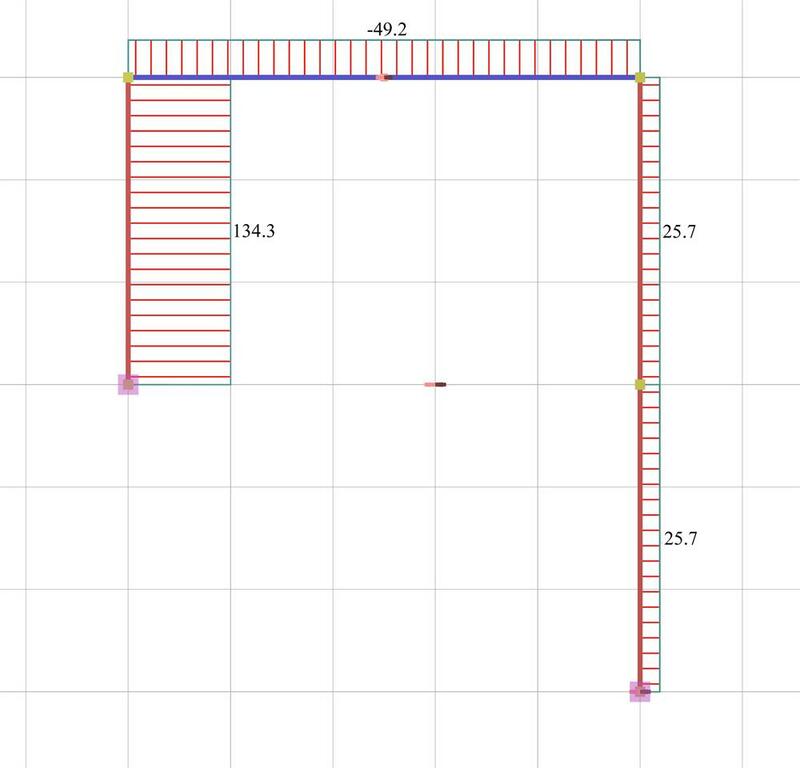 In project <B_514> of the related software, the cross-section of the left column C1 and the right column C2 are 400/400 and 800/400 respectively. Their heights are 3.00 m and 6.00 m respectively. 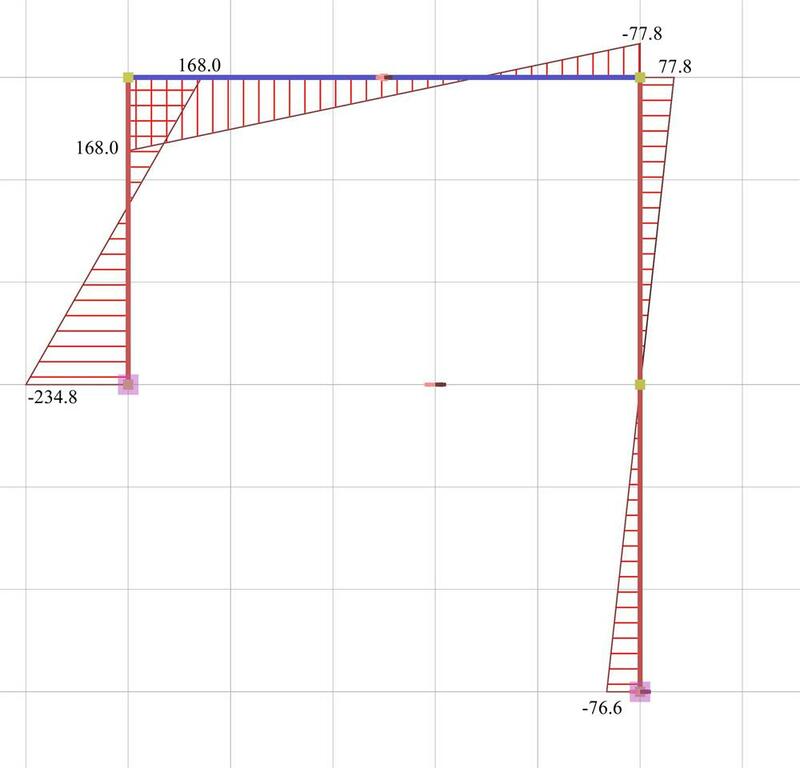 The flanged beam cross-section is 250/500/1010/150 and its span is 5.00 m.
Modelling of the example with actual fixity degrees on columns i.e. those derived from the structural analysis. 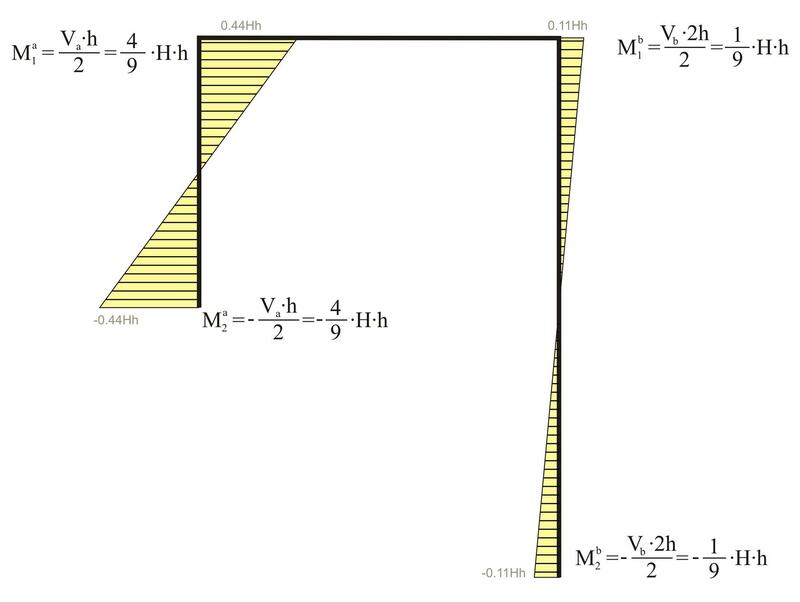 It should be noted that the actual displacement δ=6.468 mm of the crossbar is somewhat higher than the theoretical value δ	=4.573 mm assuming fixed end conditions. This is due to the regular cross-section of columns and mainly to the small stiffness of the right	column being considerably higher. 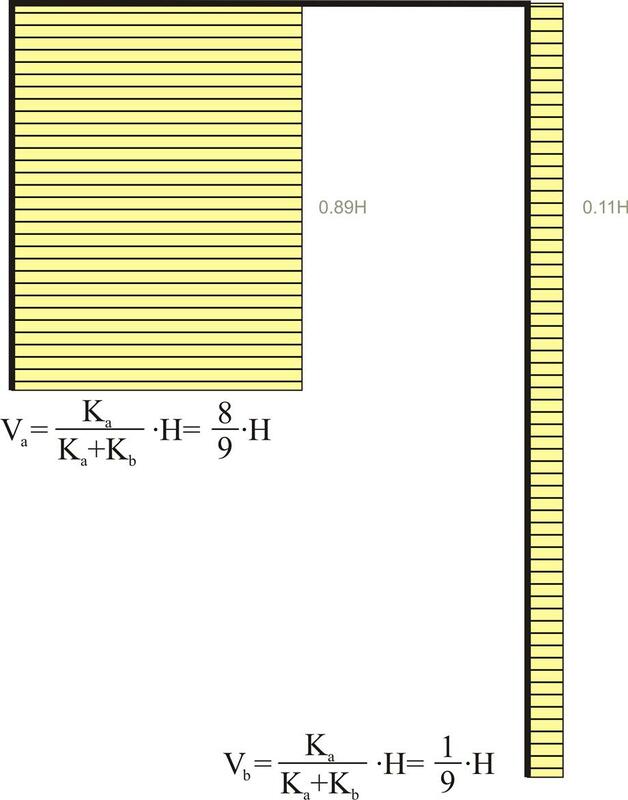 The actual stiffness of C1 is Ka=Va/δ=(134.3·103N)/0.006468m=20.73·106 kN/m	(against 31.10·106 N/m of the fixed-ended column). 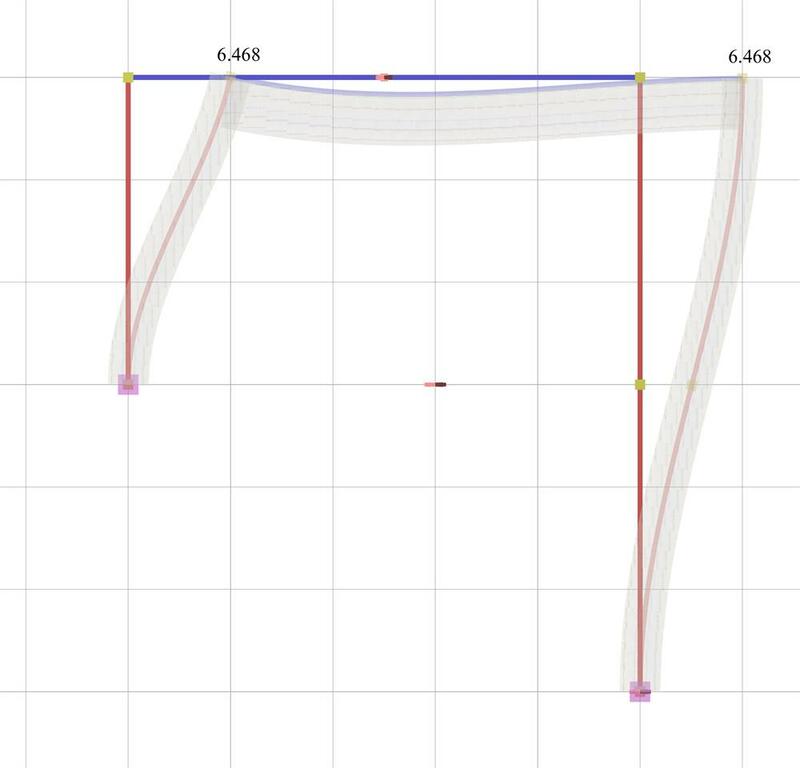 The actual stiffness of C2 is Kb=Vb/δ=(25.7·103N)/0.006468m=3.97·106 kN/m	(against 3.89·106 N/m of the fixed-ended column, i.e. practically the same). Taking into account the shear effect (Shear effect=ON), the resulting displacement is equal to δ=6.634 mm (against δ	=6.468 mm, i.e. the shear effect is minimum).